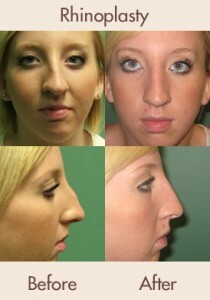 Le Visage ENT & Facial Plastic Surgery LLC specializes in Facial Cosmetic, Plastic and Reconstructive Surgery, and Ear, Nose and Throat disorders for patients in Maryland, Washington, DC and northern Virginia. Healing and wellness approaches provided by an expert physician and surgeon working with patients to achieve optimal, healthy results. Enhancing patient awareness, knowledge and appearance for wellness and surgical needs as they relate to facial plastic/cosmetic and reconstructive surgery and ear, nose and throat disorders. Advancing the use of the latest and most effective medical techniques and technology to achieve optimal outcomes. The creation of a team approach toward wellness with our patients is an integral part of our mission, and involves patient education, informed consent and defining expectations ahead of time. 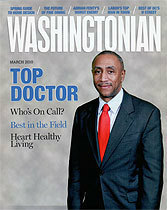 … the area’s top doctors as selected by other doctors. Month of May Mothers Day Specials with our Signature Microdermabrasion just 99.00 * !! View our educational videos, which offer clear explanations of common cosmetic treatments. Please click on one of the categories to see the video animations that are relevant to each topic. All video is closed captioned for the hearing impaired or for those who are unable to listen to the audio portion of the presentation. Click on the menu button in the right hand corner to return to the main menu. We have video animations that provide our patients with educational information. Please click on one of the categories to see the video animations that are relevant to each topic. All video is closed captioned for the hearing impaired or for those who are unable to listen to the audio portion of the presentation. Click on the menu button in the right hand corner to return to the main menu.